As our lives become increasingly reliant on technology, improvements are being made every day to the simple products we use – including the very materials we use to build our homes. Even windows are a little more high-tech than they used to be, with double pane windows now replacing single pane windows all over the western world. However, most older homes in the United States are still reliant on single pane windows – and they’re missing out. What are the benefits of double pane windows and why are they a better option? Double pane windows are fairly self-explanatory: two pieces of glass, sealed into the window frame. This is quite a bit more high-tech than your average window, which is made with only one piece of glass. Double pane windows contain an inert gas in the small, half-inch space between the two pieces, offering an extra layer of insulation. 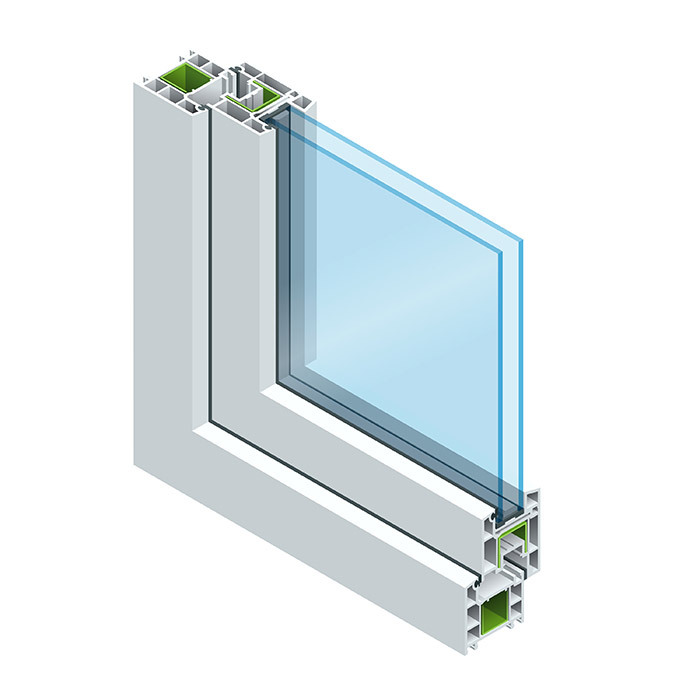 The purported benefits of this window technology include reduced energy costs, noise and condensation, among many others. You probably know that when it’s cold outside, you lose a lot of heat through the windows. 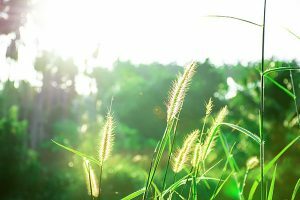 In summer, the shoe is on the other foot: the single pane windows allow the sun to blaze into the house while you have the air conditioning cranked up as high as it’ll go. The extra insulation inside a double pane window keeps your house at the temperature you want it to be, and can lower your energy bills pretty drastically. In fact, depending on which windows you get, you can save from 25% to even 50% on your utility bills. The only down side? You won’t want to stop at just one: you’ll reap the most savings by replacing all of your single pane windows, not just a couple. 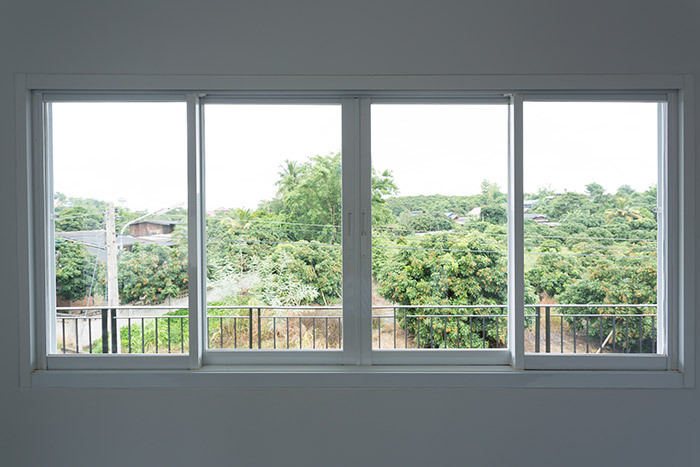 While the type of window you install may vary the actual results, we do know that double pane windows, as a concept, are able to reduce noise. Not only will this benefit you by cutting down on traffic sounds from planes, trains and automobiles while you’re trying to sleep, but it’ll also benefit your neighbors by not letting them hear your kids’ arguments or your workout music. With noise-reducing double pane windows, you can enjoy a more peaceful atmosphere in your home during the day, and less chance of having your sleep interrupted at night. Old-fashioned windows often fall prey to the common television trope: the children are playing ball outside, and the next thing you know: your window is shattered, leaving your home vulnerable to the outside. However, double pane windows are a little more secure. The glass is manufactured to a higher standard and is fairly thick and tough, making it difficult to smash. If an object does happen to connect with the window hard enough to break it, it’ll likely break the first pane, and leave the second pane intact. This means a reduced security risk, as well as not having to worry about broken glass everywhere. Along the same lines as the security benefits of double pane windows, you also won’t have to worry about damage from a heavy storm destroying your window. If you live in an area where there are tornadoes, earthquakes, hurricanes, hail or even just heavy winds, you want to know that your windows are tough enough not to crack under the pressure. Also, during a rain storm, you’ll know that your new windows have a tight seal to prevent any water getting inside. You see it every winter: it’s icy outside and toasty inside, and you can draw on the window with your finger. 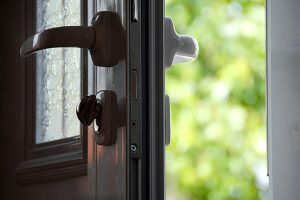 However, this also makes it difficult for you to see outside, and eventually the condensation can puddle under the window and cause water damage. Since the inner layer of insulation keeps the layers of glass from touching, a double pane window is less likely to get cold enough to allow condensation to form. 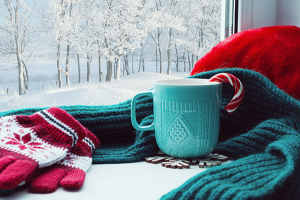 You can sit by the window with your mug of hot cocoa – and watch the snow fall at the same time. Your window installation company can put in double pane windows that look like they were always meant to be in your home. The framing possibilities are endless, using your preferred material: wood, fiberglass, vinyl or whatever you like. A quality installation company will be able to make your new windows match with the aesthetic of your home, whether you prefer a craftsman style, farmhouse, industrial, or anything in between. Double pane windows are a good investment not only to increase enjoyment of your home for you and your family, but to raise your possible future resale value as well. 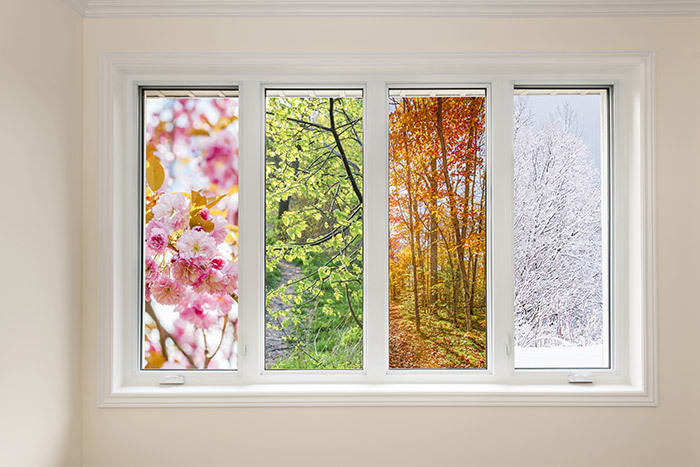 With current trends moving toward double pane windows in homes, in the interest of energy efficiency and using environmentally friendly materials, excellent quality windows are very attractive to house shoppers. Today’s homeowners not only want newer windows which open and close easily and let in natural light – they also want to live in a home where their utility bills will go down rather than up. 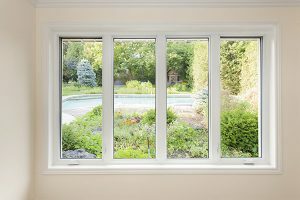 When you’re interested in installing double pane windows, your best bet is to seek a recommendation for a local company that does excellent work on windows. You should be able to view references as well as photos of their past projects, so you can see the quality of the installation for yourself. You should also have some idea as to what kind of window and window frame you’re interested in, and receive a couple of estimates before you decide which company to go with. The benefits of double pane windows outweigh the disadvantages – especially when you consider the reduced utility bills. Now that you know why they’re becoming so popular, you’ll be able to decide if you want to join the double pane window camp too! Ditch the old-fashioned sheet of glass and enjoy better insulation, less noise, and an attractive, updated look. When you’re ready to replace, there’s only one company that does it best in Chicago – Feldco. We’ve served the area for over 40 years and homeowners trust us for the best window replacement around. Get a free quote now to start your project with Feldco.